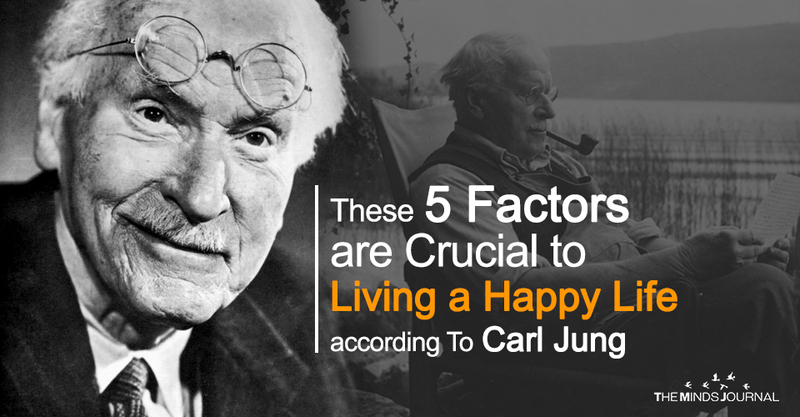 A famous psychologist whose works are the subject of much debate all over the world, Carl Jung’s writing has not lost any of its value over the passage of time. We live in a very fast-paced society where we are forced to compete almost constantly with everyone around us. It’s hard to be truly happy when you have to run the rat-race every day but that hasn’t stopped people from searching for it every day. Psychologists too have been trying to discover the secret to happiness and there’s been a lot of work that tells us we need to look within ourselves to find it. Carl Jung was the first exponent of this theory. According to him, there are five things we need to do to be happier. We all know that we need to look after our bodies by getting regular exercises, maintaining a well-balanced diet, ensuring that we rest and looking after our mental well-being in order to actually be happy in this life. Not only does exercise ensure that we build our stamina and burn excess fat that can cause a lot of diseases, it literally makes us happier. This is because exercise stimulates the brain causing it to release more endorphins into the body. Endorphins are also called ‘happiness hormones’ and they can make you happy in the same way that eating your favorite chocolate can. Eating a lot of chocolate will have adverse effects on your health. Rather, make sure that you do some form of exercise for at least half an hour every day. You will feel much better for it. Human beings are social animals and so we all need love and affection. For those, we look to all the people around us. They all have the power to give us what we need. But then, no one can love all the people around them at all times and there will be conflict now and then. But the truth is that a person who has been given a lot of affection and who prioritizes their relationships will undoubtedly be happier than a person who does not. Not only does spending time with others make us happy, doing things for others out of love can also serve that purpose. When we don’t put ourselves first and we prioritize others, we can obtain a lot more satisfaction which will invariably lead to the happiness we are all looking for. Just the other day, I set some milk to boil and went about my work. I forgot all about and by the time it struck me that I needed to check it, it would have already boiled over if my friend hadn’t noticed it and turned it off before it could do any damage.